Say, I'd like to know where you got the notion. - Stop staring and start sewing! Say, I'd like to know where you got the notion. 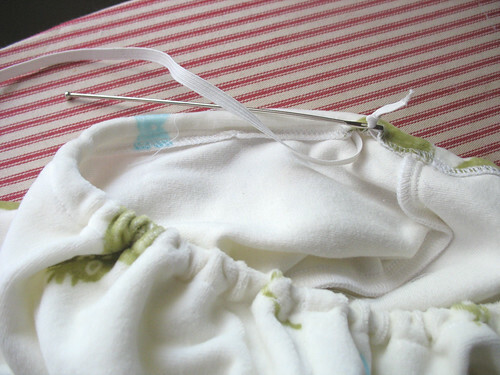 This is one of my favorite little do-hickies that I use when pulling elastic through a casing. 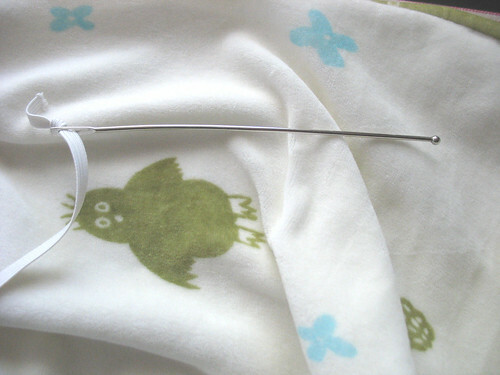 This bodkin is so much better than the old, time-consuming safety pin method and doesn't come un-done like the tweezer-type of bodkins. 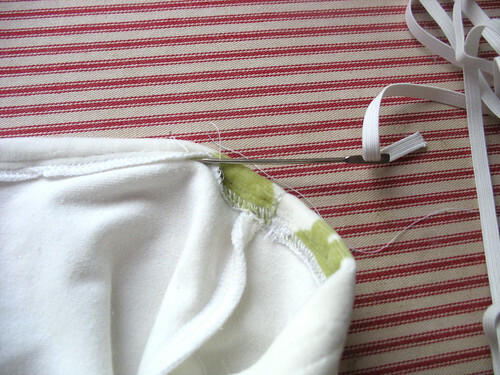 I just thread my elastic through and tie it in a knot (my bodkin is a little bowed from all the use). Walla! This took about 25 seconds! I love it! Unfortunately, you still have to do it the old fashioned safety pin way if you are making something with a small opening (like the end of a sleeve or something). But this is definitely a neat thing-a-majig!